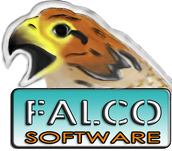 Free programs and games development in Falco Software Company. The Story: 1996. I finished University and decided to try myself as a freelancer. The business was rather good, but I wanted to have a stability, that's why it was not good to have a random job. Over 10 years of accumulated experience and the whole process of creating programs was evident. 2006. Formation of the company. The domain https://falcoware.com has been registered. My friend and I began to create the first program Falco Icon Studio. The first sale was already on expiry of 2 months after the program release. January, 2007. My friend left me a permanent job. I hired a student from Vologda for 5000 rubles per month. Then I added Adsense. My income was $50 per month. We began new projects � Falco Image Studio, Falco Auto Image, Falco Manager, Falco Molecule, Falco Chess, Falco Checkers. March, 2009. I made almost all programs free. I have added bundles. My income became $100 per month. I hired tester-technical writer-web master for 5000 rubles per month for a part-time. December, 2009. The partner system was made.  I hired a manager � game programmer. My income became $150 per month. August, 2010. I hired a girl for 4000 rubles per month, who specialized an advertisment for a part-time. November, 2010. Revenue from the site $250, 22 partners, 90 products, 2 programmers, 1 technical writer, 1 advertisment manager. April, 2011: Revenue from the site became $300, we have 50 partners, 120 products, 3 programmers, 1 3D designer, 1 technical writer, 3 advertisment managers and I.
October, 2012: Revenue from the site became $500, we have 200 partners, 500 products. Business is growing, revenue grows and we like it! We like to create free programs and games for people!! !